Found 2 file extension associations related to Motocross Madness 2 and 2 file formats developed specifically for use with Motocross Madness 2. Motocross Madness 2 features all of the killer dirtbike action of the original, but takes a quantum leap forward with entirely new gameplay depth, graphics realism, accessibility and community/multiplayer features. 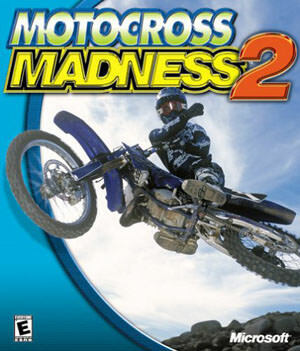 Motocross Madness 2 lets you put your skills to the test racing to win and competing like the pros. Along with all new event modes (like Enduro) Motocross Madness 2 features an entirely new mode of gameplay -- Pro Circuit career mode -- where you start out as a rookie "privateer" competing against a field of tough AI competitors. Motocross Madness 2 features an upgraded physics engine that allows independent rider and biker motion, variable surface friction (slick ice, gravel, mud) and a range of bike handling and performance options. If you need more information please contact the developers of Motocross Madness 2 (Microsoft Studios), or check out their product website.